Trial Xtreme 2 – Games for Android 2018. 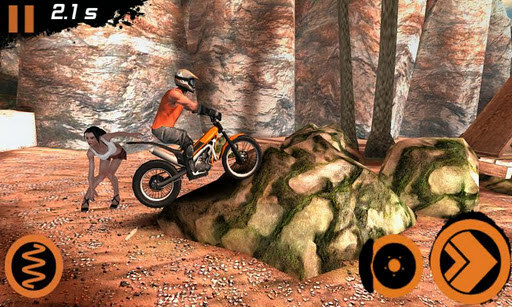 Trial Xtreme 2 – Reach the finish line safe and sound. 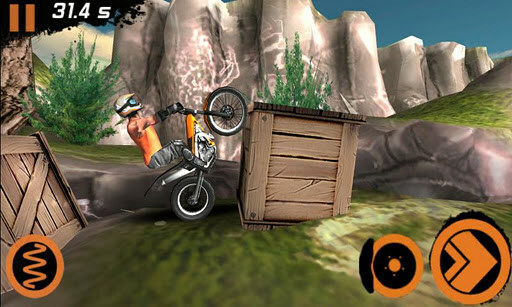 Trial Xtreme 2 - this is another great game for Android-devices, in which you will ride a motocross bike. 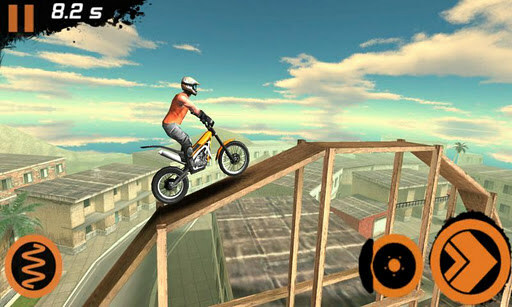 In contrast to the Red Bull X-Fighters 2012 , in this game you will not freestyle, and trial. That is, it is not even race, and overcoming rough terrain, littered with different stuff, or riding on special rocky areas, over which tried to Mother Nature. To successfully overcome each level, you will not have to try to perform incredible stunts. Without the latter, of course, will not do, but it will rather be a necessary procedure, as you will meet so complex plots that did differently to get to the finish line will not work. Time for a Route: You get plenty, but with nerves situation will be more intense. The speed limit in this game plays the most important role. At some point will have to wade literally centimeters. Worth a little delay, and the bike will lose his rider, and simultaneously press down it. Particularly spicy, there are times just before the finish. Obstacles sometimes so insidious that flies to the finish only rider or his motorcycle. Naturally, in such cases, victory will not, and you have to re-try his luck. By the way, in some extra long levels there is a save point. It is no marked, but if you get to it, in case of failure is closer to the finish line start the game from the very beginning, and it is with her. Despite the fact that the species in Trial Xtreme only one side, the graphics and detail of the game world is fairly accurately. The behavior of the motorcycle and rider are very realistic and not contrary to the laws of physics. Management can be performed either by using five virtual buttons, or with the help of three of them, and the accelerometer. Rightmost lower button is responsible for the acceleration. Button located just to the left - for the brakes. In the bottom left of the screen you will see a button with a spring that is responsible for jumping, and (in the case of a disabled accelerometer) buttons to manage the center of gravity bike, which is provided by moving the rider's back and forth. When activated accelerometer is responsible for the center of gravity is it. In general, the control can be called perfect, but even that will not let you "fill the hand" of any tricks. Once you have passed one part of the route without problems, then in the next twenty times can break the rider's neck is on the same site, and this is normal.